In Hackbright Academy’s rigorous 12-week Part-Time Software Engineering Program, students learn the skills to become software engineers and build creative web apps to demonstrate their skills as developers. Learn about our most recent cohort of graduating women in their own words, and the wide variety of apps they built, each showcasing their one-of-a-kind interests and personalities. Before Hackbright, Catherine studied Fine Arts at the University of Victoria and worked as a freelance artist making 3D soft sculptures. She took creative commission work requiring building projects from scratch, or modifying an existing pattern; the process of creation step by step was a core part of her job that often required picking up new skills and learning to work with different tools. Catherine realized she was most drawn to the software and technology behind systems in her work. Having an interest in problem solving and being passionate about a field where she could continue learning, Catherine decided to pursue software development. Bird watch is a full-stack web application that tracks the user’s location and shows nearby bird sightings, displaying areas that are more popular for particular sightings. Users may search from thousands of species through the eBird API with dynamically generated personalized pages for each bird displaying photos from the Flickr API anywhere around the world. Seen birds can be tracked and added as a favorite for future reference. Catherine took introductory courses in Java and Python in university. Her first experience with programming was during first year of college while she was pursuing other passions, but after taking Hackbright Prep she realized this was where she wanted to be. 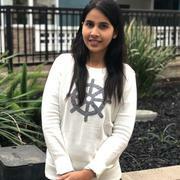 Damini was first introduced to the world of programming during her undergraduate studies Bachelor in Computer Application at VNSGU University (India). After taking introductory courses in Python, she also took training in QA. She became interested in the software’s ability to resolve problems in dynamic ways. Damini is looking forward to continuing using her problem-solving mindset along with her new coding skills in a role as a full stack developer. When Damini is not at the computer, she likes to go out with friends, loves traveling, and exploring new places. This is a dating website which connects people. This app uses complex SQLAlchemy queries to PostgreSQL database to retrieve information about users and their relationships. Used Google OAuth API, So connected users can email to each other. This dynamic user interface makes extensive use of AJAX, Bootstrap, and jQuery. Used Yelp API for suggestions of coffee shops based on the midpoint of two user location. A recent graduate of Fullstack’s Software Engineering Program with experience and extensive education in software design and web application development. 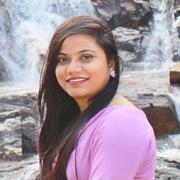 She has an undergraduate degree in Computer Application from VNSGU University, India. She also completed courses like Python Prep Course, Software Quality Testing (QA). Denise came to Hackbright after receiving a Masters in Aeronautics and Astronautics at Stanford University. She held 4 different internship experiences in that field where she used programming for Aerospace applications. For example, at NASA Ames Research Center, she wrote code to automate a process to create plots from some wind tunnel experiments. Denise was also a co-founder of a startup, Meddy, where she took on a project manager role. While she enjoyed her aerospace and startup, she realized that she loved using programming to solve problems and create products. 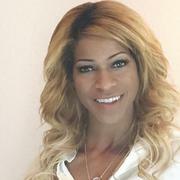 Denise is interested in backend web development and mobile applications. She is excited to learn how to take a mobile app from idea to product. The Finding Peace website offers some resources for people with PTSD. You can seek help by searching for PTSD programs, practice self-care by listening to relaxing recordings, and send message templates by email or text. The purpose of the message templates is to make it easier to send a message regarding your mental health when you are feeling too much anxiety to reach out to others. 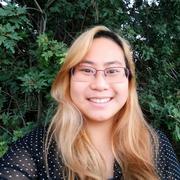 As part of coursework and internships, Denise used programming languages such as MATLAB, Python, and C++ to solve numerical problems and model and analyze systems for Aerospace applications. In mid-2017, Denise started learning Computer Science fundamentals via several MOOCs available on Coursera and Udacity. She primarily used Java during that time and is now learning Python. Early 2018, she learned HTML and CSS for front-end web development in order to create her personal website. Before Hackbright, Divya worked in Finance. She earned her MS in Finance from Baruch College – CUNY. During that time she interned with a Trading & Research firm as a Research analyst and after graduation she worked at Bank of America, NY as a Trading desk analyst, focusing on ETFs. During her work, she realized that the most interesting and challenging part of her job was analyzing a problem and resolving it. She enjoyed the teamwork and cross-functionality of her role. After moving to the Bay Area, she realized the significance of programming in today’s world and decided she needed to grow her skill set. In the tech world, Divya is looking forward to combining her financial skills with her engineering skills. SAFIYA is a restaurant search service WebApp that gives a sentiment score for restaurants. It uses NLP in backend to process reviews given by users and assigns a sentiment score to their review. Using this service, a user can skip the tedious traditional way of reading multiple reviews before selecting a restaurant. The service aggregates review data into a single scoring system and takes into account the “social media” lingo as well. The WebApp uses YELP API to get restaurant data and Google Maps API to give user the ability to locate a restaurant. It generates Word cloud (D3.js), for each restaurant to provide clear representation of user sentiments. User can also explore interactive mode of VADER score generation for their reviews. Prior to enrolling in software engineering, Divya took online courses in SQL and Python. To further explore programming, she joined Hackbright Prep. After studying Mathematics and Computer Science in St. Petersburg University in Russia, Hanna became interested in photography and digital arts. She worked as a photographer and managed her own print shop on Etsy.com. Hanna became proficient in computer graphics techniques such as channel selection, color spaces, transforms and distortions. Later, after spending several months working as a QA engineer in a startup she decided to continue pursuing a software engineering career. Hobbies include drawing, playing the piano, and hiking. The basic feature of this web app allows you to upload and colorize grayscale pictures using a pre-trained deep learning pix2pix model based on PyTorch implementation by Jun-Yan Zhu. More advanced users can upload their own datasets and a backend worker will train models for them. Trained models can be used from web UI. Studied at St. Petersburg State University Faculty of Mathematics and Mechanics, major in Computer Science (for 3 years). Worked as a QA Engineer at Stay Delightful for a few months. 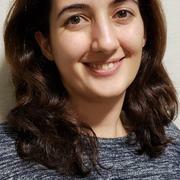 Ilkay studied Molecular Biology in her home country, Turkey and did her PhD on Molecular Microbiology in the UK. 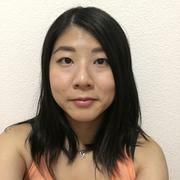 While doing her postdoc at Stanford University, she realized that coding is becoming more and more popular and is a big part of the future, so she wanted to be part of the technology world. During her studies, Ilkay worked with great teams of scientists while solving the mysteries of cell division. She loves figuring out relationships between systems and solving problems that come between her and her results. She thinks computer programs are puzzles waiting to be solved. When not coding, you’ll find Ilkay playing with her daughter or knitting and enjoying a good cup of coffee. Road Trips with Kids is an app that helps parents to plan their journey by showing kid-friendly places along the route they have selected. After selecting their route, parents can select several food and play options to display them on map. Furthermore, parents can examine each business page and look at pictures to decide if they like the place. They can later add this place as a stopover for that specific route. In the user page, parents can see their last saved route, now with stopovers. 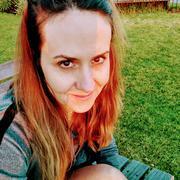 Before joining Hackbright Academy, Ilkay took C Programming for Beginners and Python Programming for Beginners courses at UCSC Silicon Valley Extension. Krystal has gotten into programming because from a young age she would help her dad work on computers. She loves that programming is like a puzzle to solve and loves having a project to work on. Previously Krystal worked with Special Needs in an educational and personal setting and has also worked at Starbucks as a shift manager. In both jobs she loved working with her coworkers. Seeing everyone supporting each other was one of the highlights of her job. Krystal is excited to become a part of a new team as a computer engineer. She can not wait to learn and grow from the support of her soon to be new teammates. A journal to keep thoughts and ideas, with the ability to check the weather and keep a to-do list. There is an area to search the news or check on how stocks are doing. Krystal has taken Hackbright Academy’s Prep Program and built a command line based game during that time. She has also taken some classes through Codecademy. 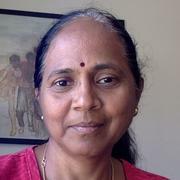 Having completed a Bachelor’s degree in Mathematics in her local language Telugu in India, Lalitha had little knowledge in the English language. Once her children had grown independent, she joined the ESL classes 8 years ago at the local community college and completed the required English proficiency classes for college. Subsequently she refreshed her math skills and then took Basic and Advanced Python Programming classes at the community college. Perseverance has been her strength throughout her life in raising a family, growing an organic vegetable garden with sustaining practices, creating healthy recipes at home, and resuming her education to graduate in a Software Engineering program. My vision for the project was to build an app with user’s input of all their choices like recipe name, ingredients, cuisine type, diet intolerances, restrictions and the app would display the recipes of his liking along with cooking instructions. User has the choice of searching by their chosen name of the recipe. If the user likes any of the recipes, they will have the option to save the recipe for cooking and to order from the restaurants in the neighborhood. Lalitha took Python courses at Mission College and the Hackbright Prep Course before joining the full-time program. Lena graduated from the University of Kansas with a BS in Civil Engineering and then from Stanford University with a MS in Environmental Fluid Mechanics and Hydrology. After graduation she worked for 12 years as a hydraulic engineer for Bechtel. 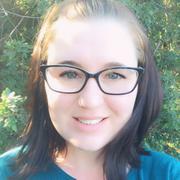 While she enjoyed the challenge of working on complex fluid flow problems, she found one of her favorite parts of the job was successfully automating repetitive data-driven tasks. Eventually, she realized that although she was good at writing code that would get the job done, she wanted to further refine her skills and learn to write cleaner, more efficient code. She is excited to apply her strong analytical skills and problem solving abilities to her next career in software engineering. HealthTracker is a tool that allows users to take charge of their health conditions by logging personalized daily information. Users can then use the accumulated daily data to identify personal triggers to avoid or know when extra medication may be necessary. Features include daily item logging, custom item trackers, manual data review, query of logged items to find common occurrences, and graphical presentation of longitudinal data. 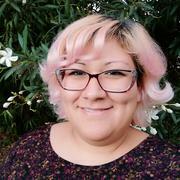 During her career as a civil/hydraulics engineer, Lena utilized multiple programming languages for pre/post-processing data and for analysis of fluid flow problems including MATLAB, VBA, FORTRAN, C++, and most recently Python. Sue has always loved coding, and worked as a software engineer for 3 years right after graduating from M.I.T. with a B.S. in computer science and engineering. She then earned an MBA from Northwestern University, and eventually ended up product management roles at Actuate and Motorola. Then, as a freelance product management consultant, Sue did long-term engagements as Head of Products at BizGear and VP Product at Karmasphere, where she guided development of their first products from concept through their first commercial releases. Sue is now returning to her coding roots, to build products and not just define them. 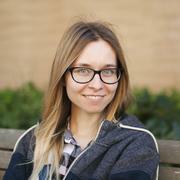 She is invigorated by the intellectual challenge and plans to work as a full-stack software engineer after Hackbright. Software to help coaches manage and seed entries to youth track & field meets, each of which includes dozens of schools, up to a thousand athletes, and over 100 distinct events. Uses a complex data model based on SQLAlchemy, and uses many of Jinja2’s advanced features for template generation. On the front end, uses jQuery Datatables and other jQuery components for users to resort lists and filter tables. B.S. in computer science & engineering from MIT; 3 years as an embedded software engineer after graduating from college; a long career doing product management and user experience design for many software companies, both as an employee and as a freelance consultant. After graduating with a Bachelor’s degree in Accounting, Tien worked on and managed independent and team projects, communicating results to both clients and internal teams. After years of creating spreadsheets to automate data collection for analytics, she realized that the process was not unlike writing script code, which lead her into trying out multiple online courses and tutorials. After having a fantastic time working alongside a developer to implement and test an API, Tien decided to pivot out of the finance industry into software engineering. She is awed by what the field has to offer, and looks forward to using creativity and logic to contribute to the software engineering community. Built a Flask web app in which users solve puzzles to reveal locations along with a story text. Implemented Google Geolocation to track user location in order to trigger following puzzle/location events. Before Hackbright, Trish worked in network management & PC repair in the burgeoning agricultural technology field. After working in the field for several years, she realized that the most interesting and rewarding parts of her job were helping customers and solving problems. This realization and her curiosity for coding led her to pursue her interest in programming full-time. 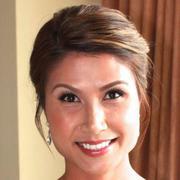 Trish also has prior experience as a semi-professional baker, and is detail-oriented with an eye for design. She would love to combine her experience with tech and her passion for design to work in a front-end, full-stack, or back-end position. Trish has experience in the hardware side of the tech world. She has been a PC repair & network technician for the past eight years, working closely with customers to set up wireless networks for operating farms. Interest in technology came naturally to Vaishali. Her logical approach to solving problems made it easy to decide her calling in programming. She completed her Bachelors of Technology in Computer Science and Masters Degree in Software Engineering. During her Masters, she coached undergraduates on C language using lab sessions for 6 months. She had a good time debugging code at that time. After coming to the US in 2016, she completed other tech certifications and finally decided to hone her skills at Hackbright Academy to pursue her career as a software engineer. In her spare time, she loves to meditate and spend time with her dog. Additionally, she has a regular yoga practice. Moreover, she recently earned certification in Gong Therapy. Built a web app which keeps track of the dog park activities. User can create their profile and add their dogs info and picture to the profile. After logging in user can see a list of dogs which are present at the dog park and decide whether to take their dog to the dog park or not. Also, they’ll see a graph which shows the average number of dogs in a particular timeframe in a day. They can choose if they want to go to the park at peak time or at a time when their are fewer dogs. 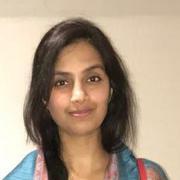 Vaishali has a Masters Degree in Software Engineering and Bachelors of Technology in Computer Science. During her master’s program, she taught C language for six months to undergraduate students and published two papers in peer-reviewed international journals. Her certifications include: CCNA (Cisco Certified Network Associate), CWNA (Certified Wireless Network Administrator), and LPIC-1 (Linux Professional Institute). Victoria comes from a background of customer service, staff management, and media production. As a California native, she explored various job opportunities that were commonplace to the Southern California entertainment industry including acting and doing voiceovers. Victoria looks forward to inventing productive applications that help society manage the ever growing atmosphere of data that controls our world. Too often we find ourselves in a new town or city with a few hours to spare but don’t know what might peak our interest. Victoria has maintained an interest in tech as a hobby. Through countless online courses, she was able to learn and repair computers as well as learning software including but not limited to Adobe Creative Suite. These tools raised her interest in the world of application development and she hopes that her education at Hackbright lays a path in becoming a part of that magical and fulfilling aspect of software development. 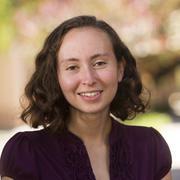 A UC Berkeley graduate naturally inclined to software engineering, Virginia finds machine learning, artificial intelligence, and deriving meaning from data exhilarating and fun. She is a natural humanitarian; her career aim is to employ her love of innovation and real-world problem solving to benefit humanity at large, and she cannot find a better fit than engineering. A scientist-turned-software engineer with nine years of experience and nine publications in peer-reviewed journals in stem-cell and cancer therapy research at the NIH and UCLA, she understands the necessity of effective communication and supporting her teammates. She looks forward to bringing those skills to a software engineering position after Hackbright. Baby Predictor is a Flask Web App that gives the user the unique ability to print baby announcements with their predicted baby’s picture on the announcement. It allows the users to upload two baby photos, one of each parent, in order to predict the physical appearance of their child. The app uses the Face Morpher Python Library to detect faces in the photos and compute the average of the two faces. The app outputs both a static image as well as a video showing the process of morphing from one face to the other. Users can download the image of their baby prediction. The app also uses Google Maps to locate the user and display photo processing centers where the user can print out baby announcements with the downloaded photo. Hackbright Prep Class: four-week evening and weekend course teaching the fundamentals of Python; Codecademy Courses: HTML and Python.